Mark Twain wrote a series of travel letters whilst on a tour of Europe and the Middle East in 1867 with a group of American ‘pilgrims’. These letters later formed the basis of The Innocents Abroad. Journeying from New York to Egypt via France, Spain, Italy, Morocco, Russia, Turkey and the Holy Land, he observed and lampooned his companions with typically caustic and incisive commentary. The local people he encountered fared little better. The resulting fresh, irreverent account of the New Barbarians’ encounter with the Old World satirises the sentimental travel books popular in the mid-nineteenth century. In frequently humorous, sometimes grotesque, detail, Twain records the day-to-day ups and downs of discovering the truth about people and places, whilst pillorying those tourists who rely on guidebooks rather than their own impressions to define their experiences. 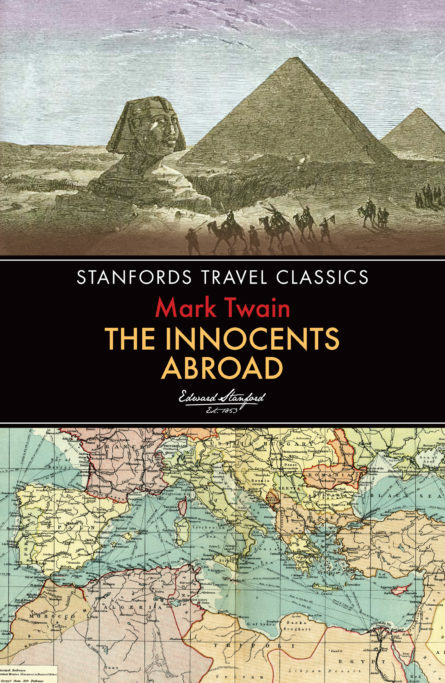 Endlessly comic and entertaining, The Innocents Abroad remains one of the most celebrated and influential travel books ever written about Europe and the Middle East by an American.